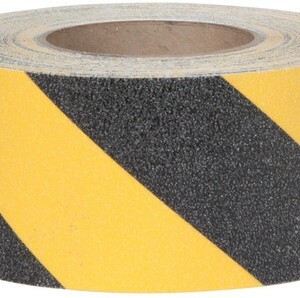 Safety Track® resilient, mop friendly, non-skid vinyl tape provides a high traction surface and aggressive adhesive system for commercial and industrial use. 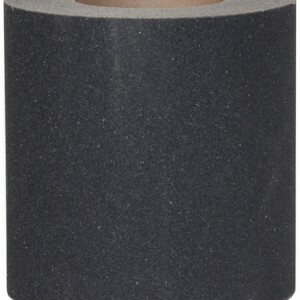 The rubberized, textured surface is durable for heavy shoe traffic, yet comfortable for bare feet. It provides an unparalleled coefficient of friction. 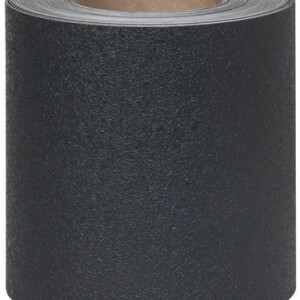 Safety Track® Black resilient non-skid tape 12″x60′ is NFSI certified for “High Traction” and meets Prop 65, ADA, and OSHA standards.